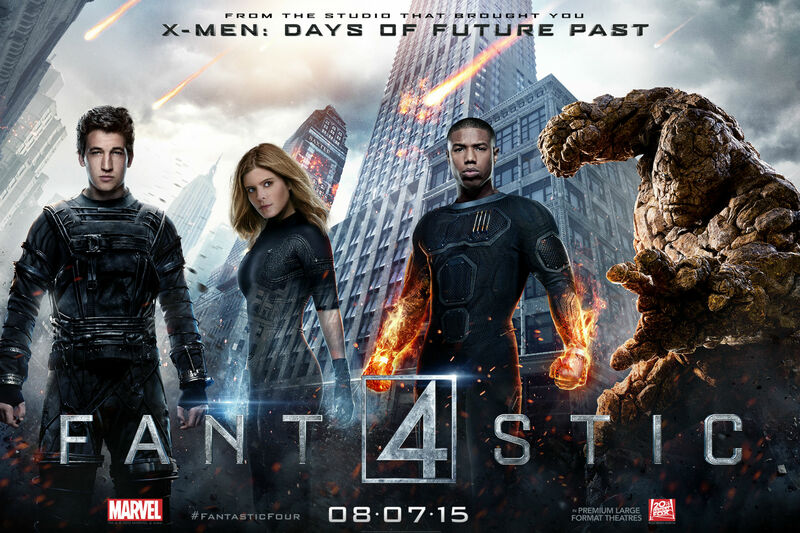 Just came back from watching Fantastic Four. Yes, I am one of those brave people who wanted to find out if it is really as bad as critics would have us believe (8% on Rotten Tomatoes at the moment), but at the same time I wasn’t in a rush to see it, which explains why this review is so late. I loved the trailers, but the negative voices were so loud that my excitement was a bit crushed. So, if you don’t wanna just listen to the ultra negative feedback the Josh Trank (Chronicle) directed movie gets online and maybe check it out for yourself, I would definitely recommend doing that. 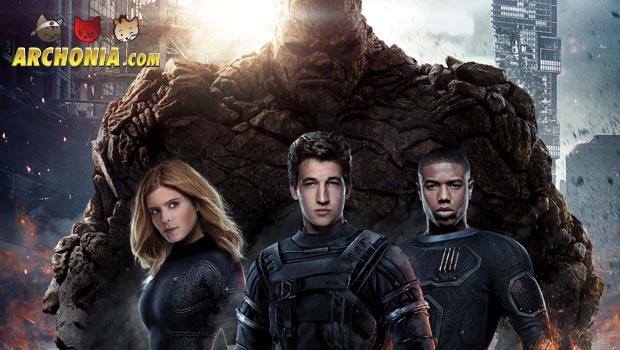 If critics are right about it or not… at least in my opinion… you will find out by reading on.. in our Fantastic Four review. So what’s it about? Well, its about young Reed Richards (Miles Teller), who started inventing a device in his garage that allows him to access other dimensions. It’s about finding your place in the world and about guilt and choices and friendship. Reed’s best friend Ben (Jamie Bell) is more of a moral support structure for that and the one who presses buttons on the devices Reed builds. While being ignored by the worst science teacher the world has ever seen, the project gets picked up by the Baxter foundation, which gives Reed a new home and place to study. There he meets Sue and Johnny Storm (Kate Mara and Michael B. Jordan) and begins working on a bigger version of the device, which was almost completed already by anarchist hacker Victor von Doom (Toby Kebbel). It is all based very much on the Ultimate version of the origin story, which is a good idea since the original origin wouldn’t work on film today. So, how is it? Is it as bad a Rotten Tomatoes says it is? Well, in my opinion that level of hate and negative reviews is a bit unfair. I really enjoyed watching the movie. Is it a good movie? Probably not, but you can see glimpses of greatness flicker a lot during its runtime, which is almost the saddest part about it. In fact the whole origin part of the film (first hour or so) is pretty damn good. Serious sci-fi, with a super talented cast. And man… what a cast it is! Miles Teller, Michael B Jordan, Kate Mara, Jamie Bell and Toby Kebbel are amazing and don’t deserve a box office bomb like this at all. 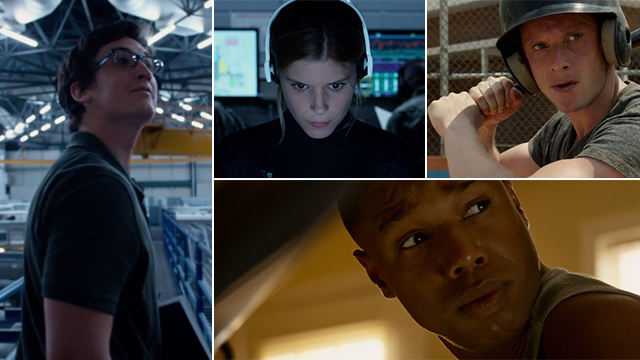 They all pull of the best they can with the limited screentime they get together, but there lies one of the big problems: the Fantastic Four only share the screen for a few minutes. Ben has only scenes with Reed, Johnny has barely any scenes outside small stuff with Sue and so on. Thats a problem when you want to build a family-like dynamic. They still do nail the scenes between Reed and Ben throughout the movie, as they do almost all interactions Reed has with anybody else, no matter how short those might be… there is just not enough space for that. Doom is also a whole different character than in the comics, but I am not a huge FF fan so it wasn’t that big of a deal to me. Still… I would have liked to see the “real” Doctor Doom on screen and can absolutely see how his treatment could drive a true FF fan somewhat crazy. The direction of the movie is really good as well, I really love the tone and choices Trank went for and while it is pretty serious and dark sometimes, there are still enough points of humor and levity thrown in for it to not be depressing. People who aren’t into the more serious superhero movies at all won’t find what they are looking for here at all, but since I am not one of those, I really liked those parts about it. The biggest problem: studio interference, or at least problems between the studio and the director (but I really have the feeling that Trank is not at fault here, as I actually like most, if not all his choices). You can actually see which scenes were part of re shoots, because hair changes from one second to the next and then back again. The third act is super rushed and it feels like we skipped about 40 minutes of character development when it hits. They cut out A LOT and even most of the money shots from the trailers aren’t in the final movie. I mean, come on Fox! I still enjoyed the serious take on the story and the cool level of body horror they injected into the whole thing. I mean, come on… being on fire, elastic or a rock monster all of a sudden wouldn’t be a nice experience and they absolutely nail that part, especially Ben Grimm’s anger and fear, while his blue eyes stare out of the rock monstrosity. His whole existence feels like the nightmare it should be, if something like that actually would happen to someone. I even enjoyed parts of the weirdly short boss fight at the end, which featured the team together for the first time taking on Doom, but it all went by too quick and the movie is rushing towards the end credits. There is also nearly no build up at all for the end fight. Doom just appears, decides to destroy the world for some reason and then the FF stop him, all of that taking less than 20 minutes. So, yeah… its not nearly as bad as they make it out to be, but its still not very good either. There truly is an amazing film hidden underneath, a film that could have been great, if the director Josh Trank and the studio would have worked together instead of against each other. Of course we have no idea who is truly at fault here, but its sad to see so many good ideas pulled down by whatever happened. I enjoyed it a lot more than Iron Man 2+3, Incredible Hulk and Green Lantern for example and think it’s a shame that this talented cast won’t get another chance with these characters. If you are into the serious take and liked the tone of the trailers I would still say it is worth checking out. Hopefully Fox decides to let the director show off his version of the movie on blu ray someday, but even in its current form is an interesting watch for the actors alone.